Dear Readers, West Bengal Police Recruitment Board has released a notification that it is going to recruit students for total 1527 posts of Male & Female Sub-Inspector in Department. Till now, there is no notification released regarding exam date. Here in this page, we are describing complete West Bengal Police SI Syllabus 2019. So, read this article completely as we are forever giving correct information. If you want to know about West Bengal Police Sub Inspector Syllabus, then here is the right platform to get that. In below section, we are explaining all steps that must be required to check West Bengal SI Syllabus 2019. You can easily understand these steps as we are forever using lucid language. Soon, the department will be going to conduct exam so you shall prepare for your exam very well. For this concern, we are displaying here West Bengal Police Sub-Inspector Syllabus. Stay in touch with our page and official website if you want to get all updates. We are giving here complete pertinent details regarding West Bengal Sub Inspector Syllabus 2019. Latest News (09 Oct 2019): The result of the prelim exam has been announced. Soon the dates for the main exam will be announced which will be held after the physical test. My dear Students, we are mentioning some basic points related to West Bengal Sub Inspector Syllabus. According to the official notification released by the recruitment board, the written exam for the post of SI will be held on 29/07/2019. We have already provided you the West Bengal Police SI Syllabus for the written exam. The provided date is tentative and not official as of now. 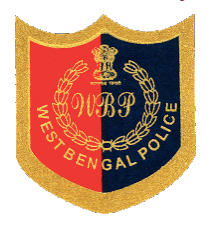 All the latest details regarding the WB Police SI Syllabus will be shared here on this web portal. Translation from English to Hindi/Nepali/Bengali/Urdu. The prelims exam pattern is shown by us. This is one of the ways to manage an exam well. The Questions will be of Objective type (MCQ). The exam is divided into 5 sections; GK, English, Reasoning, Mathematics, Test of Language. The time duration of this exam will be 90 minutes. In that, click on Syllabus according to this post. Questions will be based on Current affairs. Arithmetic: Questions will be set on basis of syllabus of Madhyamika Examination of West Bengal Board of Secondary Education. English: Summary/Precis; correct use of words; correction of sentences; use of common phrases; synonyms and antonyms. The written exam date has been announced. The exam will be held in the last week of this month. Here, you will get the complete WB Police Lady SI Syllabus. The questions in the Prelim exam will be asked of the above-given topics. We have covered almost all topics from which the questions will be asked. So WB Police LSI Syllabus will be helpful for all of you. The written exam for all candidates will be held on 29 July 2019. The candidates can download their admit card from the official website. WB Police Lady SI Syllabus is explained in the above section. Go and check it. After checking it, let us know what you think about it. Dear Readers, we have displayed West Bengal Sub Inspector Syllabus in this page. Read here carefully. You may check this on official website portal also. We have also explained all steps that are needed to apply if you want to check syllabus. If you face any problem regarding West Bengal Police SI Syllabus, then feel free to post your comment. Leave all queries inside it. We are forever ready to help you. We will solve your doubts as soon as possible. Keep visiting our page. We will keep providing you all latest news and information regarding it here on this page. So you guys don’t have to worry about it. We will also provide you the exam pattern here on this page. Soon, we will provide you the detailed syllabus here. We will cover the topic wise details. For that, you have to stay connected with us. We will keep updating you with all the latest news regarding this vacancy through latest updates.